Battlefields and historic sites across the country are preparing for Park Day this Saturday, April 1st. Join in and make a difference at your local park! Park Day is the Civil War Trust’s annual hands-on preservation initiative, where volunteers across the country help Civil War, Revolutionary War, and War of 1812 battlefields and historic sites take on maintenance projects large and small. For anyone in the D.C. region, we have a number of great events planned in Maryland, Virginia, and D.C. Join us in Manassas for a special Generations Event Stand Like Stonewall at Manassas where guests of all ages will march in the footsteps of Civil War soldiers on the same ground where General Thomas “Stonewall” Jackson earned his famous nickname. Join us with your guest ages 8 to 18 for a one of a kind experience. Park Day is a great opportunity to spend a day outdoors improving our shared hallowed ground. From painting to building repair, there are ways for everyone to get involved and make a difference. Thank you for your help in keeping our history not only preserved, but pristine! Join us in Manassas this Saturday! Learn more about our Generation's event in Manassas this Saturday, featuring activities for Civil War enthusiasts of all ages. Thank you for your continued support as we fight to preserve two crucial tracts at Brandy Station. With your help we can add 244 acres to the over 2,000 we have already preserved at this historic battlefield. 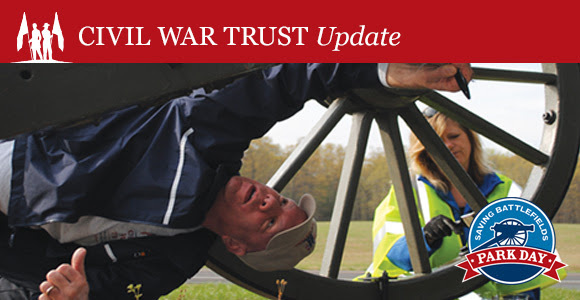 On March 23, the Trust celebrated the preservation of 73 acres of the Kernstown battlefield, the site that launched two legendary Shenandoah Valley campaigns in 1862 and 1864. Learn more about the events surrounding Kernstown and the 1862 Shenandoah Valley Campaign in this video.